Julianne is doing GREAT! She had her annual Cardiology appointment a couple of months ago where they upped her Enalapril but other than that no changes. We are thanking God for Julianne's continued good health! Hi everyone! 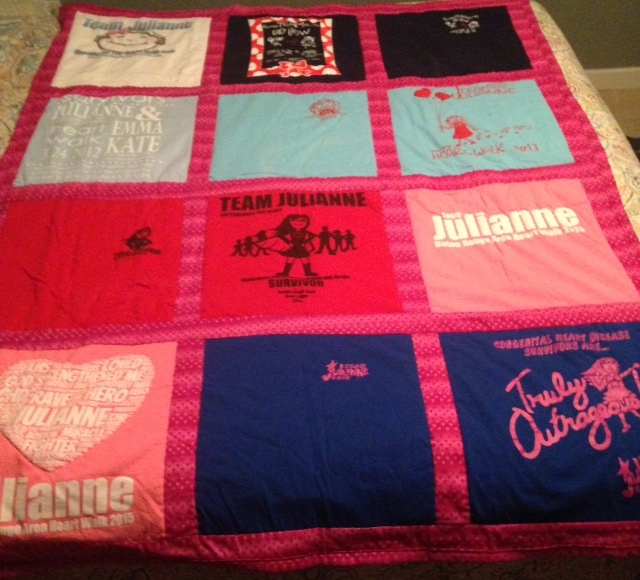 Last year a very sweet lady that Kent used to work with made this beautiful quilt for Julianne out of all of the past years' heart walk shirts! I'd been contemplating ending our team Julianne shirts for a little while and with this quilt complete, I think it's a great time to end the shirts for now. I guess that was a random spam post this morning. So, while I was on here deleting it I figured I'd post a quick update! The 2016 Heart Walk is right around the corner! We'd love for y'all to join us in person or even from afar! As usual, we have team Julianne t-shirts available! They're $12 each and are available in youth and adult sizes up to 4XL. Email, call or text me if you'd like to order one. I need all orders by March 21st. We'd love for you to join Team Julianne! Visit her heart walk team page to join! 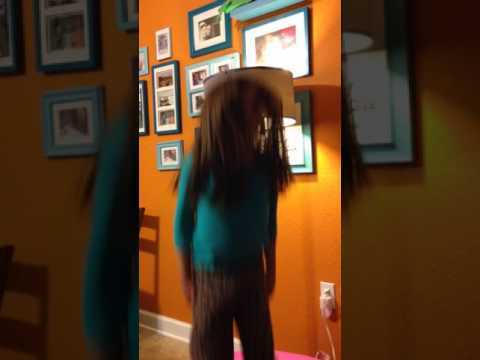 "It turns out we're not getting the baby."